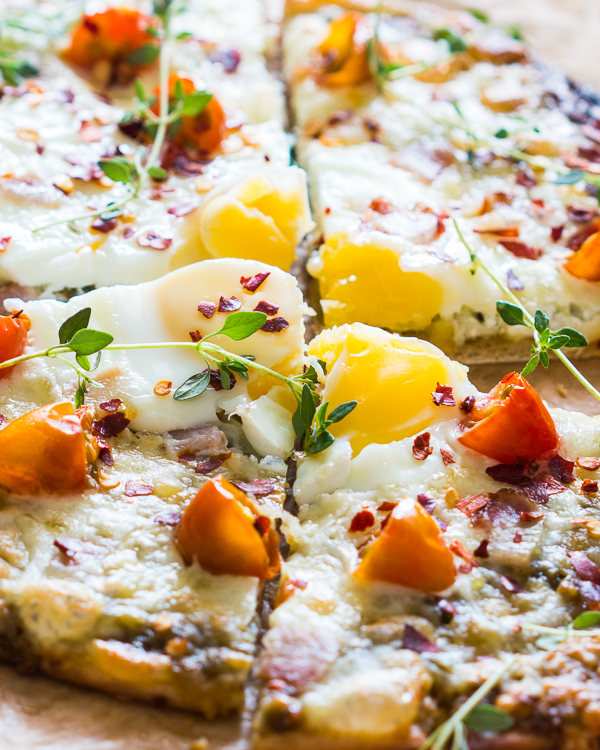 Everything you love about breakfast on a pizza loaded with gooey melty cheese. I love topping mine with bacon, egg and tomatoes! 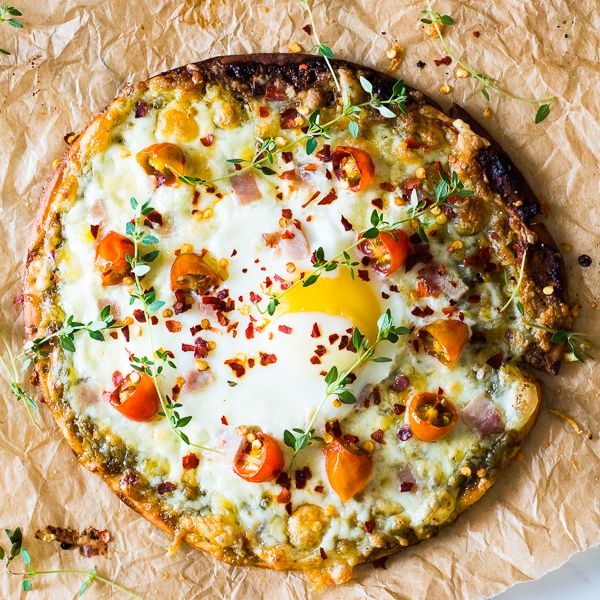 This bacon egg breakfast pizza is everything you love for breakfast on a pizza base and it is going to be the best thing you will ever have for breakfast! Breakfast is definitely my favorite meal of the day and I’ve been doing pizza for breakfast for a while. I’ve tried a ham and cheese topping, zucchini corn and kale when I want lots of veggies and even just plain egg and cheese, but bacon egg and tomatoes on my breakfast pizza is by far my favorite. This pizza is super easy to make and takes less than 20 minutes in the morning. I took the shortcut and used ready to eat pizza bases so that all you need to do is heat up the oven, layer on the sauce and toppings and slide the pizza in to bake. The egg is all gooey and the cheese is melty and it’s absolutely perfect for Sunday mornings! What’s your favorite topping to add to your pizza? Leave a comment and tell us all about it! Place the pizza base on a greased baking sheet. Spread the marinara sauce evenly on the pizza base. Top with mozzarella, and make two small wells in the cheese. Break eggs into the wells. Top the pizza with bacon, cherry tomatoes and sprinkle with salt and pepper. Bake for 10-15 minutes or till the egg whites are set and the cheese has melted. Serve immediately.